APCH/DEP SERVICE PRVDD BY DENVER ARTCC ON FREQS 135.6/363.025 (CASPER RCAG) WHEN APCH CTL CLSD. 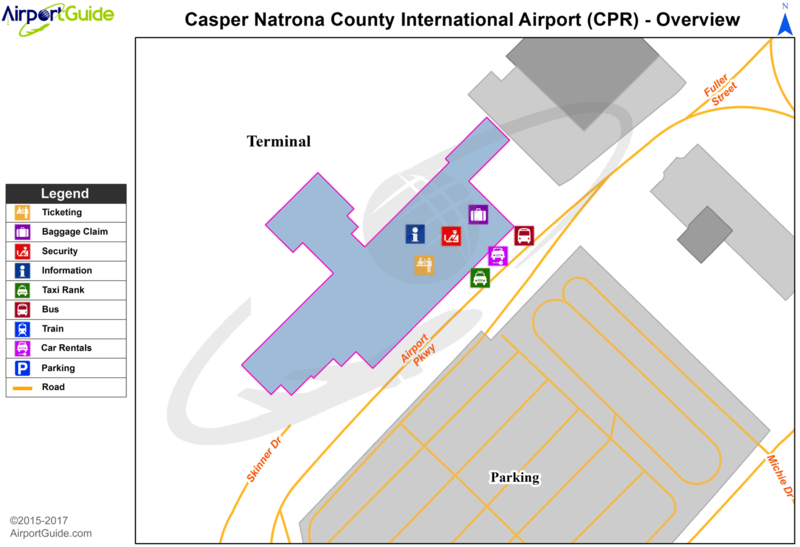 COMMUNICATIONS PROVIDED BY CASPER RADIO ON 122.4 255.4 (CASPER RCO). A110-1 EMERG PWR AVBL RYS 08/26 & 03/21. A110-2 RY 08/26 & RY 03/21 HAVE LGTD DISTANCE REMAINING SIGNS. A110-3 225 FT CRANE 1 NM NE OF ARPT. 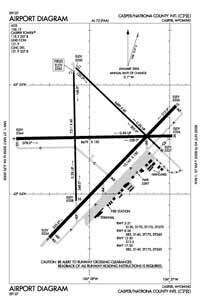 A110-4 RUNWAYS CLOSED TO FSL, TGL, AND PLA AIRCRAFT MORE THAN 250,000 POUNDS EXCEPT FOR 4 HOURS PPR 307-995-3950. A110-5 RUNWAYS CLOSED TO FSL, TGL, AND PLA AIRCRAFT MORE THAN 250,000 POUNDS EXCEPT FOR 4 HOURS PPR. A81-APT ATC-CTL. WHEN ATCT CLSD ACTVT HIRL RYS 03/21 & 08/26, MALSR RYS 03 & 08, AND TWY LGTS - CTAF. Single Wheel Landing Gear: 130. Dual Wheel Landing Gear: 140.